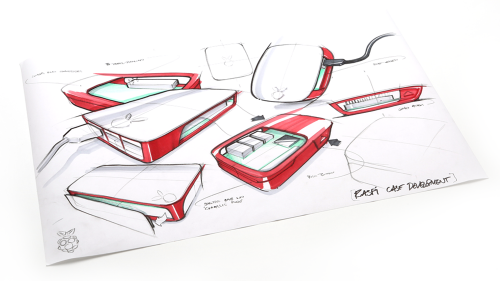 If you’re a Pi fan, you’ll recognise our official case, designed by Kinneir Dufort. We’re rather proud of it, and if sales are anything to go by, you seem to like it a lot as well. Unfortunately, some scammers in China have also spotted that Pi owners like the case a lot, so they’ve been cloning it and trying to sell it in third-party stores. We managed to get our hands on a sample through a proxy pretending to be a Pi shop, and we have some pictures so you can see what the differences are and ensure that you have the genuine article. The fake cases are not as well made as the real thing, and they also deprive us of some much-needed charitable income. As you probably know, the Raspberry Pi Foundation is a charity. All the money we make from selling computers, cases, cameras, and other products goes straight into our charitable fund to train teachers, provide free learning resources, teach kids, help build the foundations of digital making in schools, and much more. Let’s do a bit of spot-the-difference. Fake case. Notice the poor fit, the extra light pipes (the Chinese cloner decided not to make different cases for Pi2 and Pi3), and the sunken ovals above them. Real case. Only one set of light pipes (this case is for a Pi3), no ovals, and the whole thing fits together much more neatly. There’s no lip in the middle piece under the lid. There are some other telltale signs: have a close look at the area around the logo on the white lid. This one’s the fake. At about the 7 o’clock position, the plastic around the logo is uneven and ripply – the effect’s even more pronounced in real life. This is what a real case looks like. The logo is much more crisp and cleanly embossed, and there are no telltale lumps and bumps around it. The cloners are using a cheaper, translucent non-slip foot on the fake case, and the feet don’t fit well in the lugs which house them. Again, you can see that the general fit is quite bad. Real case. Near-transparent non-slip feet, centred in their housing, and with no shreds of escaping glue. There’s no rectangular tooling marks on the bottom. The SD card slot is a different shape. Please let us know if you find any of these fake cases in the wild. (Some resellers will be carrying fake cases but advertising them with pictures of the real thing, so check your case when it’s in your hands.) And be extra-vigilant, if you’re buying somewhere like eBay, to make sure that you’re purchasing the real thing. 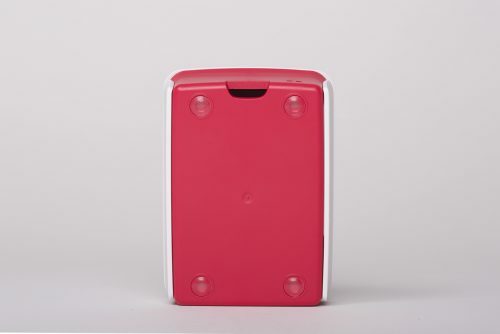 We also make a black and grey version of the case, although the pink and white is much more popular. We haven’t seen these cloned yet, but if you spot one we’d like to know about it, as we can then discuss them with the resellers. It’s more than possible that retailers won’t realise they’re buying fakes, but it damages our reputation when something shonky comes on the market and it looks like we’ve made it. It damages the Raspberry Pi Foundation’s pockets too, which means we can’t do the important work in education we were set up to do. Recently I purchased a Pi3 set from Deal Extreme (a notorious Chinese retailer) and the case that came with it seems like the original one: All markings are a perfect match to the original case and I’m pretty sure it came with a box and slip of paper talking about how some of it’s proceedings go to charity. That one seems safe for now. I’d love to see that slip of paper – that’s not something we put in there ourselves, and we certainly haven’t ever received any donations from that organisation. Have you compared the case to the pics above? I might’ve been mistaken on the paper slip – I received about 3 packages on that same day. I no longer have any packaging. I do remember that something came on the case packaging that made me go “oh, I think this is an actual, original and official case”. The case itself looks original, down to the small tool circle marking on the underside, oval SD card slot, no lip on the piece and high quality, embossed logo. Feet are transparent too. DealExtreme does sell some counterfeit parts, but when they do that, they have a “genuine” version clearly marked, and this particular item is marked “official case”. Yeah – if it’s only got one light pipe for leds, it’ll be the real thing. All the fakes we have seen have one on each side so they’ll fit a Pi2 or a Pi3. Liz, I notice the easiest way to spot the forgery is the midrib on the raspberry “leaf”. On the real one the midrib is long and narrow. The forgery is stubby and wide. That may be the easiest way to spot the counterfeit. Another difference on the top logo – on the genuine one, the serrations on the blade of the leaf appear on both sides of the emboss (the inner, and outer). The clone looks like only the inner is serrated, and the outer is smooth. I’m an educator in the U.S. Looking to get my school involved with the Pi’s so I’ve been doing a bit a researching. Looking on Amazon, I came across a “genuine” Raspberry Pi case, but when I look at the reviews I’m not convinced. One review that shows pictures of the case from a bunch of angles shows a lip on the back of the case, and a sticker on the package that looks fake to me. The address is https://www.amazon.com/Official-Raspberry-Pi-Case-White/dp/B01CK3XTIE ; they sell a bunch of “genuine” parts for the Pi. I don’t want to purchase anything unless the money gets back to the Pi Foundation. I think the light tubes are too high. I ordered an official case from RS components and the light tubes are lower than the one you bought. Get thee to an optician. 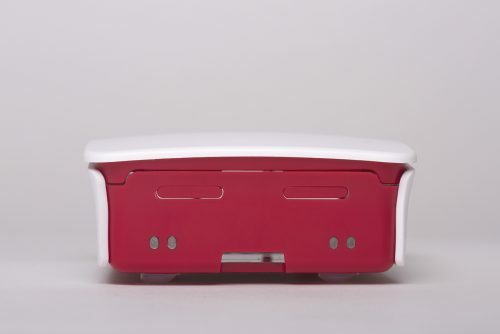 Really cheap Raspberry Pi cases that are almost indistinguishable from the official one, and available to buy online? That’s disgusting. On a website? There’s so many of them though. Which one? I don’t believe they’re selling them any cheaper. And read the post again; it’s about where your money ends up. Are you sure about that? Just have a look on AliExpress. You can find many stores that sell the Pi case for 2-3€ and they don’t indicate that they have the double LED thing going. They look pretty solid to me. Looking at the pictures from customers they don’t look anything like the fake you are describing here. Also having a sticker with the element14 logo, sounds a little fishy as you can’t get any mass discounts from Farnell. Yeah – our contact at MicroCenter mentioned that she’d been touted fakes of a slightly different design that we hadn’t seen yet (she was a bit horrified – she said she’d have let us know ages ago, but thought we knew already), so it looks like this is just the top of a very murky barrel. We’re looking into it. It seems that what happens is that Chinese plastics manufacturers will send distributors a big box containing everything they make that’s germane to their businesses; MicroCenter have received a couple of big boxes which have among their contents fake Pi cases. I’ll be asking them to send samples if they’ve held on to any, or if they get any more. I should add: MicroCentre are really, really scrupulous about this stuff, and they’re fantastic to work with. A deliberate imitation by a for-profit outfit of a design owned by a charity? It isn’t really going out on a limb to call that shabby. Did the original official cases ever have Ovals? 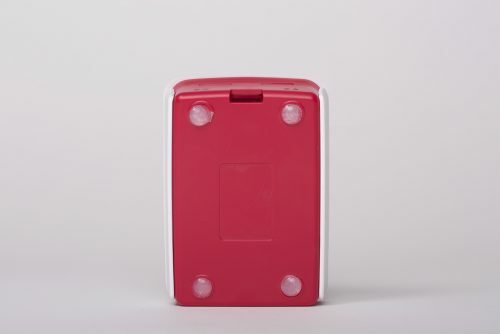 When it was originally released for the Raspberry Pi 2 mine had ovals on the back like the above fake case above. I bought it from ThePiHut so it was a reputable store, and wouldnt have thought that fake cases were a problem in 2015. Original Pi 2 cases did – but no case you buy new these days does. In general terms, Chinese products are a deep disaster. This globalization = a global disaster. Isn’t expensive??? Most of the cases cost nearly 2x more than the Pi itself. Same thing for cables, sd cards, wifi and other simple accessories – everything is very overpriced. Perhaps it’s ok if you live in western Europe, but for anyone in east of the continent it’s not really acceptable. An official Pi 3 case goes for £6 or thereabouts. Your maths is wrong. Ebay vendor claims in the text that this is an official case and the photo certainly looks like it. However a cost of US$4 shipped to the US may imply otherwise? The picture on ebay is of the real thing. I wonder if the actual item will be. Kind of hard to believe it could be. I’ve been mounting Pi A+ boards in Altoids cans. Can’t beat the price. This is one of the down sides of open source. It creates the mind set that anything is up for grabs, even when it’s not open source and not free to copy. There is also a cultural difference in china, a similar way of thinking as people with download stolen software. It’s not just the foundation that gets hurt by this. There are a lot of talented engineers and designers in China and this kind of practice besmudges their name too. I guess all you can do is ensure we know where it is safe to buy these and defend where you can your trade marks. eBay and Amazon need to clean their houses out too. Large amount of fake USB3.0 hubs out there, just USB 2.0 with blue plastic plugs. I went to a really interesting talk a couple of years ago in Shanghai, where a leader in the Chinese Maker movement was asserting that shanzai (literally “mountain bandit”, which is kind of cool) engineering – i.e. reverse-engineering and pirating other people’s products – was the Chinese form of open source, and totally legitimate. A few years *before* that, I visited some people doing R&D in a Beijing sports shoe factory on non-Pi-related business. Their approach to R&D was to buy Nike and Adidas trainers, and to take a scalpel to them to see what the construction methods were. You’re right; it impedes innovation and diminishes the country’s reputation for making quality products. The whole world of Shangzhai and open-source-stealing is really interesting. In China, the system is basically ‘make better stuff quicker, that way you’ll always be ahead of your competitors’ so the idea of copyright is a bit weird to them. Why spend months getting a bit of paper saying you made something, when you can go and make another thing better?! In (Mandarin) Chinese, the word for learning (xue) has it roots in, and also means to repeat. This may mirror the underlying self-esteem. It ain’t copycat, it’s just learning. Being notoriously bad at learning languages, I took up the challenge of Mandarin only in later years, and never regretted. I gave myself four weeks to accept my defeat in making my first steps in speaking and reading. Onl several weeks later I noticed that I totally had forgotten about my “point of no return”. Learning gave me some better insight into mainland China. I’m sorry, but do you think Western manufacturers don’t do this? It’s really nothing to do with Open Source, the Chinese cloners will do this to anything regardless of licencing. Its dimensions are exactly the same as those of the real case (they seem to have 3d scanned an early Pi2 case and built from there). Are you sure, or are you trolling? The official cases are great, I started off with a generic case for my Pi 3 and recently switched to an official case – the entire thing just feels so much better in your hand – great design and quality construction. Never going back to the generics again! I have a question. Same thing happens with the 7″ display case? I’m thinking in buying it in Amazon and after seen several cases that don’t seem original, I’m concerned that they can give me an unofficial chinese copy. I usually have confidence with Amazon, but they have a lot of stores. We don’t make an official case for the display (most people buy them to embed in other stuff), so anything you buy will be third party. I use a Modmypi stackable! Sigh… I guess it’s a sign that the RPF is wildly successful, right down to Pi cases in the “imitation is the sincerest form of flattery” sense. Still…have LED light pipes on both sides is an interesting innovation for those us still buying and using Pi2 series boards. Fortunately, I bought extra cases before the Pi3 came out and I still have some left. I defy the Chinese market (like aliexpress.com) since it allows to send to any country at a low cost between 1 to 4 $ US, it takes a month to arrive and it has follow up with number of international guide. * Products that are not sold in my country, and if they are sold are 2 to 5 times of their original price. * A raspberry pi3 in my country ends up costing 60 $ US plus shipping. I use two ModmyPi stackables for a total of five Pi’s! So if we don’t mind a few quality flaws and the price is cheaper for these we still shouldn’t buy them? Wouldn’t it make more sense if you’re on a low budget to get cheaper as well, That’s the point of the Pi? A cheap low cost computer for education? If you’re kitting out a class of 30 I’ve found them for half the price. which is the cost of other important stuff for a club or school such as a keyboard for each machine, etc. I think you have to examine your motivations. Do you use any of our free resources, the normally-paid software like Java or Mathematica that we bundle for you for free, our training, our support, our free magazine PDFs, or take advantage of the fact that by not being a for-profit organisation we can sell you a computer for $35, $25 or $5? Do you benefit from the funds we pump into open-source software projects? Do you think we’re doing the right thing by making computing accessible to as many people as possible? 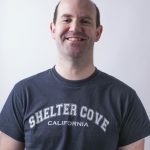 The reason that you can do those things is that we decided to set up this company as a not-for-profit because we believed it was the ethical thing to do, and a way to make a genuine impact in people’s lives. If you don’t want to support that decision – the decision that means that I and other founder members of Raspberry Pi are not paid like founders of 12-million-selling computer companies because we thought there was a better way – that’s up to you. But I hope you do a bit of soul searching before you do. Perhaps Rhys’ motivation is simply to give his class access to Pis in an increasingly financially challenging climate. Teachers often struggle to find funding for kit in schools. Having to justify every bit of expenditure and often make compromises. Rhys, my advice would be to buy neither case and use the money you save to buy some extra kit such as LEDs etc. Far more worthwhile, and besides you don’t really need a case. Should teacher’s that take advantage of the free things you offer feel guilty for not contributing financially? Is it really fair to question their motivation, I think doing so could alienate the very audience you’re aiming to support. I think the tone of this thread at points has been highly counter productive. Fair enough, give people the heads up that their are fake cases out there. But don’t chastise them for not buying your product. I saw your comment underneath. I don’t think you seem to be very nice and you are very defensive. What you are saying is that it is fine to steal from a charity that has been good to you, I thikn that you are a teacher, and I do not think that is OK at all. Yes I am a teacher, and I give what I can both to the foundation and other organisations like it. But that’s the point I was trying to make, people give where they CAN, some can afford to pay more for a product in order to support a cause and others can’t. When purchasing equipment for school my priorities are, in order; educational value, cost per pupil, then my preferred supplier. The cases lose on the first 2 points and so I will choose either the cheapest suitable case or no case at all. A case (no matter how well designed) adds no value to my students’ learning. My biggest issue with this thread is the tone of the comments (by some) that have come across as judgemental, lecturing and in places quite patronising. As for the mention of the just giving page, it’s the first I’ve heard of it. I’ll be heading over there now to make a personal contribution. Perhaps in future more positively framed posts (and discussions) about the great work that you do might encourage people to follow through and donate. You could just buy a different case from China for a single, solitary dollar. They aren’t ANYWHERE near as cool, but that isn’t the point. At Mythic Beasts we donate hundreds of TB/month of bandwidth in addition to significant staff time to further the mission of Raspberry Pi and computing education. c.f. If we can donate over £50k of services to help educate the children in your classroom, we’d appreciate it if you’d not buy cheap knock-offs and make a tiny donation through buying official cases. The foundation are only going to spend it on better products and better learning materials so you’ll get the investment back anyway. I sincerely hope that your comment was an attempt at trolling. I am amazed that anyone could place saving themselves a few dollars ahead of supporting an not for profit organisation which is solely responsible for the current popularity in Single Board Computing. Yes, it IS expensive to fit out a classroom of 30+ kids with the materials needed. Yes, the cheaper option DOES look better when applying to the PTA for funding, but then it is YOUR responsibility as a purchaser to ensure that EVERYONE (Staff, Student and Parent alike) are informed with the facts. 1. The Foundation IS an not-for-profit one. 4. Most importantly, the small donation you make with each purchase goes to supports the efforts in maintaining the Foundation. You provide the much needed funds for the Foundation to purchase the equipment needed in achieving the Foundation’ goals. For further information, see https://www.raspberrypi.org/about/. So it looks like the Pi2 version of the case but with extra lightpipes and iffy build quality? These are imo absolutely acceptable to use, as they do not pretend to be something that they are not (and are not copies!). If RS could supply me with at neutral case for around some 4-5€ I would rather use them instead, and then it would be up to RPF to get some charity out of RS, but in no way the ugly case with odd shapes. If you don’t like the case, of course, don’t buy it. You can clearly buy whatever you like. Worth remembering though, that the profits from non-RPF cases don’t go to an educational charity, and help pay for the stuff that Liz outlines in a post a few up from here. I found this one, what do you think of this one then ? Would you mind taking some photos (especially of the light pipe end) and mailing them to me at liz (at) raspberrypi.org? We’ll have a chat with them. After reading the blog I am sold. To show my support I just bought a genuine raspy case from micro center! Thanks again for all the great products and the wonderful raspberry pi web site and all who contribute to it. Conrad in germany (www.conrad.de) is selling these fake cases. I bought one in November last year, The case I have has light pipes on both sides and the square imprint on the bottom. Marked as “Original Raspberry Gehäuse”, including the Raspberry logo. This isn’t going to impact on the performance of my pi, so who cares? Let me guess – you download all your music and films for free? Because, after all, it doesn’t impact the performance – so who cares, right? Do you always stereotype those that comment? I take the point that this has an impact on reputation (and finances), however it’s just a plastic case. Just surprised it justified a whole blog post. It’s just a plastic case…and plastics are hard and very expensive to develop. You can read about the process here. Cheap at the point of sale, maybe, but cheap to design and to get it to a manufacturable point? Absolutely not – it was a serious investment of time and of money. We do pretty well on sales of the case; they’re over a million already, not counting fakes. But it’s one of a number of important revenue streams for us, and if we were to lose it – well, you do the sums. What we make selling millions of a cheap thing comes to enough money to employ people, fund our programs and much more. Your Grandma probably said something to you at one point about taking care of the pennies. That’s something we’re doing here. Intellectual property is intellectual property – whether it is a film, a song, or a piece of industrial design. The bottom line is that someone is using our IP without our permission – not only that, but they are making money themselves from it that would otherwise come to us, and deceiving our customers in the process. If you support our work, why would you not see that as a problem? You crack me up. We built a custom laser cut enclosure for our rack-mount Pi setup. It’s not gone through any of the cost optimisation stages you need for mass production yet, but design is hard and the invoice wasn’t small. It has fraction of a mm tolerances to get high enough density, airflow optimisation and even a tiny logo. But it’s ‘just a plastic case’. If you don’t want to use the official case then buy another case or make your own (even out of lego! ), but don’t pretend that design is easy or free and don’t buy copies, poor quality or otherwise. All of those Raspberry Pi owners using it as a home media center – where do you think they acquire their media. Do you think everyone using the Pi for emulation dumps ROMs from their original cartridges? Exactly what point are you trying to make? You seem to be claiming that, because some people might use Pi to play back pirated media, we shouldn’t object to people stealing our intellectual property? What kind of perverted logic / morality is that? It’s tantamount to claiming that because some people illegally copy films with video cameras, it’s therefore fine to go into your local high street electrical shop and walk out with a camera without paying for it. The point was simply that you shouldn’t be surprised to find Pi users who don’t care much about intellectual property when the “media center” and “game emulation” uses obviously encourage this community. Passing off a copy as the original is obviously wrong, I was just commenting on the hypocrisy and fake outrage at the idea of people infringing intellectual property. “Hypocrisy”? “Fake outrage”? How dare you. The Raspberry Pi Foundation do nothing whatsoever to condone or enable piracy or other forms of copyright theft. The uses you quote are enabled by generic third-party Linux software which is nothing to do with us or our work. The software you refer to runs on all Linux-based devices – how do you suggest we prevent it from running on Pi, given the open-source nature of said software? You can run game emulation and media centre software on Windows and Mac hardware as well – is that a justification for pirating copies of Windows, or cloning Apple’s hardware designs? There is no hypocrisy or fake outrage going on here. As any other creator of intellectual property, we respect that belonging to others and do nothing to enable or encourage its violation. Suggestions to the contrary, such as yours above, are utter nonsense. I occasionally use a Pi as a media centre. Nothing I watch is ripped off – its all stuff I have purchased. So don’t class all media centre users as illegal consumers. What if your Pi is a cheap Chinese knock-off? But of course, it does not impact the performance of your Pi. Well, what if the fake case is also made of a poor chinese plastic that was not tested for toxic chemical releases when heated or something else? I would mind if I were you. But the main point here is deceiving people and depriving the foundation of the resources they use for their cause. I would mind that also. Exactly. There are plenty of third-party cases that don’t pretend to be official Raspberry Pi Foundation products, and those are fine by us; different styles, sizes and functionality suit different people and projects, after all. But the cases described and illustrated in this post are a deliberate imitation of ours, appropriating our design without permission or acknowledgement, and that is not fine. So when you say ‘who cares’, the answer is a significant sponsor of the project who paid for you to download the operating system and for you to post your comment on the website. I think you owe me and my team an apology and you can make it by buying a legitimate case instead of a knock off. This information is good to know. So far the gray cases I have purchased at my local MicroCenter all appear legitimate. They’ll continue to be. MicroCenter have been great with this – one of our friends there actually mailed us as soon as they read this post this morning to let us know that they’ve been offered the fakes regularly for more than a year now (and, of course, have been routinely turning them down). That’s considerably longer than we’d known they’ve been available. Good to hear. I frequent the local Microcenter store and have purchased Pi hardware there as well. Disappointing that people are doing this. Could you somehow stamp in the Charity Number on the case – at least to make the point ? That of course could be copied also of course…but at least you would get free publicity for the actual Charity – maybe not everybody is that aware that you *are* a Charity – dunno. I have an idea which I’m pretty sure will not work (I have no knowledge how the cases are made; indeed I have no knowledge of manufacturing at all): if each case was personalized (like Apple ‘engrave’ their iPods etc) – but here’s the trick : you digitally *sign* (say) the Order Number; or the name of the buyer and provide that or a smaller digest of the that at least. So long as you keep the Private Key that you signed with secure; nobody should be able to replicate the (unique per unit/order/owner – whatever is used) signature. And anybody could verify that the case was genuinely signed so long as they have access to the Public Certificate (you used) and the Order Number (they have). Or something like that. It won’t work obviously. Wait: I have an improvement for my obviously bad idea. Instead of ‘stamping’ the case; you simply provide an NFC sticker – which is *attached* to the case. When somebody *orders* a case; you get to them to provide something (quasi)-secret – the Pi Serial Number will do probably (and this is something the Pi can tell you if you ask it). Then the signature is made using your super secret Digital Key (you publish the Public Certificate); and it signs the Serial Number (or whatever). Write the signature (or a shorter fingerprint of it) to the NFC; ship the case. The user (or anybody) at some later date would be able to confirm that (at least the code on the NFC) was genuine *and* matches something (like the Pi Serial number). Maybe some future version of Pi may even have a built-in NFC reader. (If not; you can plug one in). I am Anand from Elementz Engineers Guild Pvt Ltd. We are authorised resellers of Raspberry Pi (Element14) in India and we see lot of sellers selling fake cases on Amazon India. See sellers like REES52, Care_India and Rpi Shop who have listed against http://www.amazon.in/Raspberry-Pi-3-Model-B-Model/dp/B01CCPKCSK and sell fake / clone versions against the listing claiming them to be original (Listing corresponds to original case). None of them are authorised resellers and many of them do not deal with Raspberry Pi even. This has been going on for past some months. We have reported it to Amazon multiple times but Amazon could not verify it in spite of the items being in their own warehouse (All are Amazon fulfilled and kept in Amazon warehouse). This is something to taken more seriously. If something can be done like asking for brand authorisation from sellers or something which other brands follow for online sellers, we believe the issue can be resolved to an extent. If we can help you in any manner, please let us know. We will be glad to help. Thank you Anand. We’ve got your email address – I’ll hand it to our product management folk. No – this one is fine. Note the single pair of LED holes, versus two pairs on the fake case. 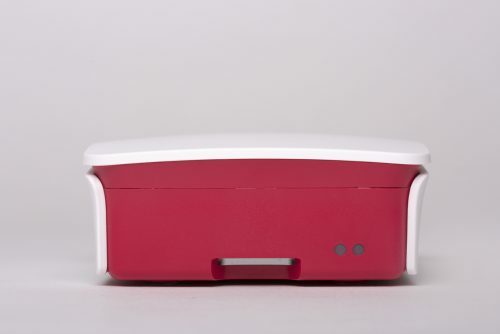 Yup – that’s a genuine Pi 2 case. We don’t make them any more, and they appear to be what the cloners have based their case off. Wait, isn’t the Pi 3’s light LED indicators on the same side as the Pi 2’s? I have a Pi 3 Model B v1.2 board sitting in what appears to be a genuine Raspberry Pi Case that you describe as the case for the Pi 2. If your Pi 3 case has the light pipes shifted over to the other side, does that mean there’s a newer revision of the Pi 3 board that has the status LEDs moved to the other side, too? Never mind. I just realized the Pi 3 moved the LEDs to the other side. Ignore my previous post. I have 2 of the official cases (bought from Element14). Only 1 in use, because you can’t get the elegant curved lid on with DuPont connectors on pins 2,4,6. Even this is modified, so the light from the Pwr LED doesn’t show through the ACT LED “pipe”. NOTE I am not condoning the Rip-off, but would have preferred a better engineered official case. Not to beat on a culture, which for sure has many positives, but when it comes to copying by chinese culture nationals, I see that routinely at work. So called colleagues copy/reuse/recycle my work (e.g. powerpoint slides and other findings unscrupulously without even nmaing the source … yes, the work belongs to the company/employer, but really … come on ! I guess it is not that ‘wrong’ and we need to learn to live with it. As for everything RPI I’ve ever bought, all of it is genuine, except a copykat camera from Amazon. It looked exactly like the original (leaked designs) but did NOT have the RPI logo. It was an honest mistake and could not send it back. We need to be vigilant for sure, if we want the RPI Foundation to be successful and stick around for a long time to come. That was exactly what I was going to ask about when I had worked my way to the bottom of the list of comments. I don’t actually *need* an ‘official’ Rpi case – all of my Pi’s are housed in cases specific to my actual (and varied) requirements. I followed the link with a view to making a contribution. Justgiving wanted me to register with an account and also asked for my email address. I didn’t especially mind the email address request as I provided them with one of my “throwaway” addresses, but registering? I read the article and I have a general question about websites like AliExpress: you can buy also the Raspberry PI 3 for an amount of 34 euro, while in the Netherlands the price is about 40 euro. This is a lower prices to consider to buy the Raspberry at Aliexpress. Is it safe to buy at AliExpress, can I trust it is an original genuine device or also a clone just like the cases? I’ve been an assiduous follower of RPi since launch and mention of the JustGiving page is the first time I’ve seen a way of contributing financially to the RPi foundation. This deserves to be trumpeted more. Perhaps any such positive blog post could be tied in with an update on any schemes there are out there for those who wish to donate now redundant RPi’s or alternatively to gift new RPi’s. I know some do this on an ad hoc basis but that takes more effort than many can muster. I reckon this merits its own positive blog post as an antidote to the negativity expressesd here which, whilst i’m not condoning buying knock-offs, (the foundation’s tone) has come across as being a bit lecturey/incredulous/exasperated. Its difficult I know when people see the world in an off-message way but we are where we are. It might only be When these people start to use their RPis in their knock-off cases that they find out about the work of the foundation and discover that its a Charity and what it’s trying to achieve. Wrt. the manufacturers is there even a culture of charity in China ? Perhaps they make no distinction between ripping off Apple and the RPi ? Perhaps the whole idea of having an Official case is flawed and was bound to end this way ? Thanks for the heads up! Really helpful. i am a raspberry pi retailer here at indonesia, and sourced those official pi case from RS (with a “Made in GB sticker”), and also got those case from aliexpress and taobao. those case that i got from chinese market look like very identical with the original. it was not like what was pictured above. from the design / moulding, i cant find any differences, but the color is a bit different. the white color is brighter on original case, while the another one is little bit doft. some of those items i got has element14 sticker, and some other doesnt. and most of those which doesnt have element14 sticker have one defect. those led indicator (small item with transparent color) is very easy to get torn or lost, especially if you drop it without pi board inside. I believe there is are also Chinese copies of the F-35 fighter jet, except with oval shaped wheels. I now understand why the official Pi case is so distinctive in its styling. While not something I find attractive, the design should be even easier to protect than Apple’s rounded corners. The notion of intellectual property is difficult to justify as a universally accepted natural law in the same way as thou shalt not kill. Even so, many societies define murder differently. Richard Stallman points out the obvious contradiction between teaching children that it’s nice to share and that there are laws which make sharing illegal. If Linus Torvalds hadn’t shared his work, we’d all be running RiscOS on a single ARM core. Whether natural or not, current laws on intellectual property are still laws and must be followed by companies doing business where those laws apply. In a functioning democracy the people should lobby the government for change, if it is widely believed that a particular law is wrong. At the same time, compared to laws that enrich big pharmacy companies at the expense of the sick, the laws protecting the appearance of the official Raspberry Pi case seem relatively harmless. Ripping off a genuine charity is unacceptable and personally I would not knowingly buy such products. Let’s remember, though, that there were useful cases on the market long before the official one – I have several of them – and they no doubt added to the usability and popularity of the Pi even if they didn’t contribute directly to the charitable coffers. They’re still available, and if you’re fitting out a classroom and your main concern is to keep sticky fingers and chewing gum off your Pi’s they’re a viable option. I retired from teaching some years ago. As a hobbyist I like the versatility of the official case, but I don’t think I would choose it for the classroom – too many interesting little panels to lose/steal/write obscenities inside of or stuff rubbish into. Oh absolutely – there are some great third-party cases out there, and we love that people make and use them. We’re specifically concerned about people selling a shonky copy of our own case and making out that it’s something we have made. No problems at all with people buying and using any other cases – we like to see the ecosystem around the Raspberry Pi, and those cases are a great example of what makes it work. The things that stand out are the ovals on the endpiece, and a large rectangular indent on the bottom. Based on what Jonathan Morris this is probably not a fake case after all. Would be nice if the original post had more pictures of authentic cases, but maybe you only wanted to show the absolute latest. It’s a genuine Pi 2 case if it doesn’t have two lightpipes. The old Pi 2 cases did have those features – but nothing we have ever made has had two lightpipes. I don’t know if the foundation has an official heat-sink, but did find that compiling OpenCV on the Pi3 with all 4 CPU cores in parallel (make -j4) overheats a Pi3 without a heatsink or forced air cooling. I purchased a fake case at a retail store of “Conrad” in Munich, Germany (https://www.conrad.de). It is still sold there and – surprisingly – I am quite happy with it. I will, however, get a real one for comparison now. Thanks for letting me know! I don’t condone the pirates at all. Funilly enough though at the bottom of this list of comments there is an article ‘YOU MIGHT ALSO LIKE’ and the Astro Pi Flight Case is there, a quick search on Google Shopping and nothing, no clones, no copies or anything. Seems like the $thousands that cost to develop and make the few that they did puts people off this, and the .STL files are readily available for this product (no reverse engineering skills required here). I’m heavily involved in manufacturing within the U.K. and know for a fact that China could rip these out for around £20 delivered! (Just a guess though). To those who ‘justify’ a cheaper cost… do you use Code Club? The RPF has done a tremendous amount to promote the teaching of young programmers through the Code Club; most of that effort seems to come from volunteers, whose time is freely given. If you run a club and try to argue that cheaper stuff is justified, you might find volunteers hard to find, no? This opens a quite can of worms. Disregarding the cases for the time being I shall comment on the price of Raspberry Pi 3 pricing in New Zealand. Element14 I believe, is the official supplier of Raspberry Pi in NZ, and for $58.30 you can (*not*) obtain a Pi3 (free shipping over $45). Despite the devaluing of the UK pound over the last months this price has risen from under $50 that you paid for the original Pi. I can live with that, its better, faster, and still great value for money. However Element14 have been making increasing efforts to ditch personal/home-use buyers and referring you to their resellers. (refer to the *not* above). By comparison I can get (and have gotten) a ‘Made in PRC’ Raspberry Pi3 from AliExpress (China)(free shipping) for $50.78. All these prices are in NZ dollars (1 NZD = UKP0.59 or $USD0.73), and they are all ‘real world’ and up to date as of this morning, 05-02-2017. Admittedly a large proportion of the price increases are from shipping costs, but if Element14 can ship at ‘no cost’ then why can a reseller not do the same?). Regardless, I would be more than happy to buy a genuine Raspberry Pi and accessories from an offical outlet to support the charitable mantra of the Foundation, but I will not pay a 32% increase in pricing just to line someone elses (not the Foundations) pockets. (The % difference is far greater if I use the China Pi as the baseline). All accessories reflect a similar price structure at the various outlets, and so to get fully loaded with Pi, case, SD, PS, a HAT, screen etc would cost $100 or more from an ‘official’ avenue. I bought probably 20 Raspberry Pi’s from Element14, but am now having to go the China route due to Element14 increasing pressure to prove yourself as a reseller. Your point ref the price of Pi3 in New Zealand is a valid concern and, coincidentally, one I have been looking at over the last week. *Points up* – that’s Mike, who is Lord Emperor of Product Development here at Raspberry Pi. I assume the reason was because element14 didn’t want to handle the customer service aspect of dealing with the general public. Having said that, I still purchase from e14 and have never had to prove anything. I ended up going over to RS components who have the RPi3 on sale presently for $54, free shipping. Thats a pretty good price from what I hear and I dont have any reseller pressure from them at all. This is a fake, isn’t it? Hi Everyone, we love our Pis and Raspberry.org is absolutely awesome. Just wanted to give some constructive feedback on design. The design of the original case looks and feels great. It is excellent quality. We have two of them in our family bought with the RS Starter Kit. One a level of usability though, this case gets at best 3/10. Its good for protecting the Pi during transportation, its good if you only do the non-physical computing projects which are few and less fun. As soon as you need to access the GPIO however, the official case is all but useless. You need to pull it all apart and if you have a SenseHAT, expose the boards. My 13yo son has already shorted his Pi without damage thank God..
After just one week we bought and installed a SenseHAT rendering the case useless. The quote in Australia for 3D printing an Astro Pi case is an amazing 2x the combined cost of a Pi3 + SenseHAT. You need not to be concerned about Chinese replica cases. Instead, please, repeat please design a more useful case for the future? Also, as a suggestion for SenseHAT 2, please design an extension for the Camera connector so is can be connected and/disconnected without having to pull the HAT on and off? The extension connector might perhaps also lead to the outside of the case or have the camera incorporated into new case?? All those “something” Pi boards irk me. You can get an “official” Rpi case that fits both Rpi 2 and Rpi 3 for 2,2$ (including shipping). That means that the actuall production cost are roughly around 1$. One lousy dollar. The official case on RS (that only fits Rpi 3) costs 7$ without shipping, with shipping its about 19$ (unless you decide to go crazy and shop for more than 60$). This is the cheapest option to get an official RPi 3 case in Sweden and Im sure it is in many other countries too. I think all of you just dont understand what the chinese products has done for us. Do you really believe that we would have all this technology around us if it wasnt for piracy? Think about it, if ALL copyrights ever made were to be “respected”, what would the prices be like? If all these multimillionaire companies would keep on with their copyright monopolies for all these past 30 years, do you really actually believe that you would be able to buy an awsome mini computer called rasperry pi for only 35$? Digitec in Switzerland (https://www.digitec.ch/) is selling these fake cases. I bought one in October (18.10.2016) last year. My case has light pipes on both sides and the square imprint on the bottom. I bought the pack with the black cases for 64.80 Swiss francs. Marked as “Offizielles Raspberry Pi 3 Gehäuse”, including the Raspberry logo. Mine has all the indications of a fake one except the double LED thing – and I bought it through the raspberry pi website. It’ll be an old Pi 2 case in that…case. They’re what the fakes are based off. I purchased pi3 case from amazon (seller REES52) in October 2016. The white lid looks like fake one. At least one large internet retailer should do more to clean up their act. I recently purchased some wireless ear buds, not realising they were coming from China. When they arrived some weeks later I was was disappointed with the sound and posted comments along these lines on the internet retailer’s web site, giving a one star out of five. A few days later I received an email from the supplier saying that they were “just students”, offering to refund my money and asking me to post a revised 5 star. This would have been a fake review. Instead I tried to post their exact comments under my first review for others to see but the internet retailer never published them. The internet retail did not come back to me and the headphones are still advertise on the website with my one star review. Good luck Raspberry Pi in trying to stop fake sales. Got mine with a Pi 3 starter kit- rectangular and black – and the circles on the logo are small holes. Is it fake or real? I just received a case from Digitec. Digitec is one of the biggest seller of home electronic in switzerland. Sadly they send me a clone case in a Pi 3 Starter Kit. The difference to the original in quality is really noticeable. Build Quality is really good, the plastic might be a real ABS, seems a really rugged plastics. Logo looks really crips and good, but it seems a bit deeper than the original one posted here. At the bottom, it shows the circle dot, but the circle dot is definitely deeper than the original one posted here. The light pipes is only for RPi3 ; but it isn’t pipes, it’s only transparent window. so, still can’t tell it is the real one or fake one. I have holes for the lights on both sides. Those all seem to be the official Pi case. Some are just the older Pi2 case pictures with the light tubes only on the left side of the back of the case (Pi2 and 3 have different LED placements). Notice that none of the pictures have one displaying led light tubes on both right and left on the back of the case. The “ovals” were also on the old Pi2 case design. The listing seems legit. Is there an official case to fit the Pi with the senshat attached? The really official case for this is the aerospace-grade aluminium Astro Pi case, certified safe for flight aboard the International Space Station and, inconveniently for the enthusiast, costing thousands. However! We’ve also put together a guide to help you 3D-print your own Astro Pi case, and we’ve seen some with quite convincing looks. I have just received my Pi Zero W with a original case from Pi Hutbut sent from MannEnterprises Ltd In Haverhill, Suffolk.The case looks ok but the stickon feet are to big for the Case, similar to your pictures. Its the onlt think that makes me think it may be a fake!! Mann Enterprises is the same entity as The Pi Hut, and we work very closely with them. You’ve got a genuine case. I can’t tell if mine is fake. It was made before the Pi 3 came out. Was the design changed since then? It’s written under the 1st photo “(the Chinese cloner decided not to make different cases for Pi2 and Pi3)”. 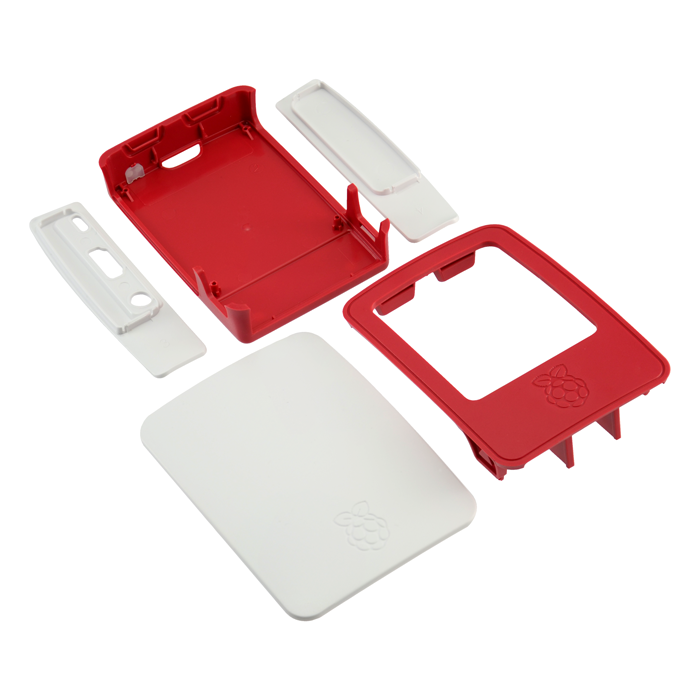 Are there 2 different official Raspberry Pi Foundation cases? What is the difference between them? Yes, there is a “version 1” case for Pi 1 and 2, and a “version 2” case for Pi 3. The main visible differences are that the “hooks” where the lid attaches to the base are visible from the outside of the v1 case and are concealed on the v2 case, and the lightpipes for the LEDs are on different sides of the v1 and v2 cases. Which case is the real official: this (https://core-electronics.com.au/media/catalog/product/cache/1/image/fe1bcd18654db18f328c2faaaf3c690a/r/a/raspberry-pi-3-case-enclosure-2.png) – N1 or that (http://raspi.tv/wp-content/uploads/2015/03/Official-Raspberry-Pi-case-parts_1500.jpg) – N2? Those both look like the official case to me from the pictures. The case was designed before the SenseHAT; it’s not designed to hold a Pi with the SenseHAT fitted. Some people have modified the case with a Dremel to get the SenseHAT to fit. Please tell me wihch of the photos corresponds to “version 1” case and which one – to “version 2”? The top link you posted is version 2; the bottom link is version 1. You can tell by looking at the holes on the end of the case for the hooks that attach the lid – they go all the way through on the v1 case, and are only on the inside on the v2. I bought a dark case from amazon and one form modmypi. This one i bouhgt direclty from amazon it looks like a fake and this is very hard to open.